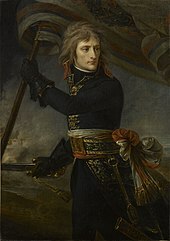 On August 30, 1792, Napoleon Bonaparte was appointed a captain in the French Army, a major stepping stone on the path that eventually resulted in his becoming Emperor of the French. Over two centuries later, on August 30, 2017, we honor that most august of monarchs, Napoleon I the Great. Not at all the little blustering egoist of myth, and certainly not the Anti-Christ, Napoleon is much more than that, and we will share 10 amazing reasons why you should agree. 1. Napoleon was born in Corsica, an island owned by Italy up until only 2 years before Napoleon’s birth. Had he been born earlier, he would have been an Italian baby! Even his last name was Buonaparte, changed to the less Italian sounding Bonaparte. His native language was Corsican, giving him an accent he never lost when speaking French. Corsica is one of 18 regions of France, an island of 3350 square miles and a population of 330,000. Not surprisingly, most famous Corsicans are related to Napoleon Bonaparte. 2. Napoleon was not a religious man, most probably an atheist, but he respected other people’s religion and was accepting of other religions in conquered lands. Although not a fan of organized religion, Napoleon was nevertheless adept at manipulating religion for his own purposes. He once even declared, “My policy is to govern men as the greatest number wish to be governed. . . . I carried on the war of Vendée by becoming a Catholic; I established myself in Egypt by becoming a Mussulman; I won over the priests in Italy by becoming Ultramontane. If I governed a nation of Jews, I should reestablish the Temple of Solomon.” The French Revolution had replaced religion with “Reason,” but Napoleon reinstituted the Catholic Church into affairs of state in order to use it as a political tool. When the Pope was to crown Napoleon Emperor of the French, Napoleon famously took the crown and crowned himself. 3. Napoleon was not particularly short, though not tall, either. He was either 5’6” or 5’7” which was average height for his day. The 6 foot tall guards he kept around him made him look short. The “little man” or “Napoleonic Complex” he was accused of having is a fabrication of his enemies, and remember, the victors write the history. English writers of his day and since have done their best to libel Napoleon and minimize his accomplishments. Napoleon is a prime example of why anyone reading History must do so with a skeptic’s eye, carefully considering the source and what the source has to gain or lose by his/her portrayal of the historical subject. 4. Napoleon was an admirer of George Washington and yearned for a “United States of Europe,” ideally with France at its head. A man of the French Revolution, Napoleon was interested in the rights and well-being of the common man. “The Napoleonic Code” instituted under his reign has become the basis for common law in most of the civilized world. 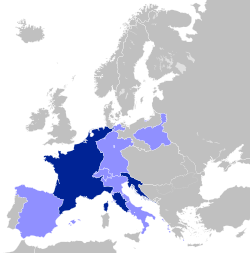 When Britain refused to join Europe in a continent wide alliance, Napoleon instituted the “Continental System,” an attempt to keep trading within the confines of continental Europe and exclude Britain. The system failed largely due to cheating by other countries that had “agreed” to the system. 5. Far from being a callous butcher, Napoleon cared deeply about his soldiers, lining streets and roads in France with trees so his men would not have to march in the sun. Under his leadership battlefield evacuation and treatment of casualties was pioneered, and rations preserved in bottles (canning) were first developed. Napoleon also created the Legion of Honor and the Arc de Triumphe to honor his soldiers, and those men were fiercely loyal to him in return. When Napoleon returned from exile in Elba, he was confronted by soldiers sent to arrest him. He opened his coat and offered his chest as a target saying, “If any of you would shoot your Emperor, do it now.” Of course, the soldiers immediately joined the returning Napoleon’s entourage, willfully following their beloved commander. He was born into minor aristocracy and entered the military as an officer, never having served as a common enlisted man. He was the first ever Corsican to graduate from the Ecole Militaire. 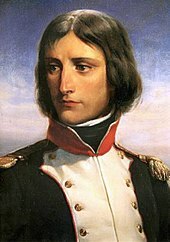 Napoleon entered military service as an officer (lieutenant). The English have so regularly slandered Napoleon that they have hurt their own credibility, and conspiracy theorists claim the British actually poisoned Napoleon with arsenic while he was in exile on St. Helena! 7. Napoleon was not a rear echelon type, but directed battles from as close to the front as possible and still get an overall picture of what was happening. His value on the battlefield was said to be worth “10,000 men.” Napoleon was twice wounded in combat, once by a bayonet. Suffering from hemorrhoids and a stomach ulcer, Napoleon was unable to provide the dynamic leadership he was famous for at the Battle of Waterloo, perhaps costing the French a chance at victory. 8. Napoleon valued science and education, and sponsored and encouraged both pursuits. We can thank him for the Metric System being adopted and for his men discovering the Rosetta Stone, among other things. A product of the French Revolution, Napoleon was a Renaissance Man grounded in science rather than religion and supernatural or mystical beliefs. Napoleon had restored the Academy of Science and supported the work of pioneering scientists of his day. He was also an admirer of Benjamin Franklin and Franklin’s scientific pursuits. 9. Napoleon’s first wife, Josephine, is the ancestor to much of today’s European royalty, even though she never bore Napoleon a child! 10. More books, essays, and other material has been written about Napoleon Bonaparte than any other mortal human in history. After this week, the book will return to its normal price of $7.99. So we encourage you to tell your friends and colleagues about this limited time promotion. The sale is for U.S. only customers. Markham, J. David and Matthew Zarzeczny. Simply Napoleon. Simply Charly, 2017.